Recycled silicone flavor belt is not something new in China. But as we had a few customers ordered some recently, and we came across some issues. So I share out our experiences here, and hope it will help you get a better idea of importing these bright color, flavored, recycle silicone belts from China. * As we're based in Yiwu, China. Whatever information offered in this article is talking about importing recycled belts from Yiwu China. 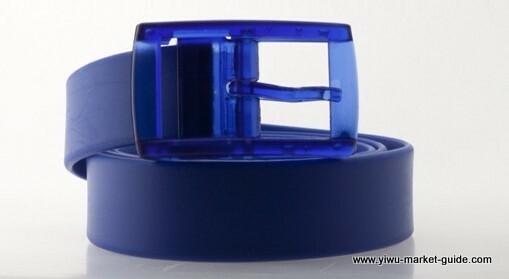 These belts themselves, of different length and width, different recycled silicone, are priced from 0.90USD to 1.35USD. Dimensions is easy to understand. Different quality silicones also feel different. Some are sturdy and soft. Some are can become stiff and easy to break when temperature reaches lower than Zero Celsius. Different packing also adds different costs. These belts are mostly packed with a clear hard plastic box. These boxes priced from 0.30-0.40USD. The retail price in Europe now for one belt is from 20EUR to 40EUR. There is a 30 times profit now for importing these belts from China. These belts now have different specifications for women, men and kids. Colors are up to 20. All BRIGHT, and with flavors. #1 Emboss your own logo. 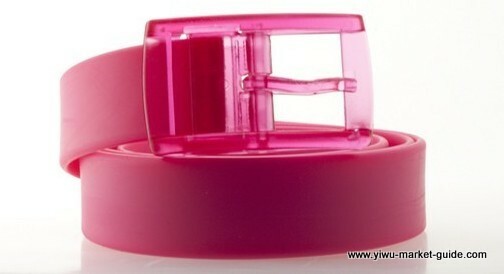 A new emboss mold can cost 100-200USD. But it's pretty fast to make a new mold. Just 2/3 days. #2 Cut your own logo. A high quality cut logo to make something like above can cost over 1,000USD. And takes 1-2 weeks only for a mold. #3 Iron your own logo. A iron logo mold to make something like above can cost about 100USD. And takes 1-2 weeks only for a mold. But the look is far from perfect. #4 Build your logo in the belts body mold. This is the most high quality way to make your logo look sharp and perfect. But you will need to order 20,000+ belts, otherwise, the molding fee will be too high to put on each belt.